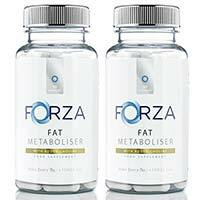 Forza Fat Metaboliser is a weight management product produced by Forza Industries. The company is based in Kent and has been trading since 2007. According to the Forza Fat Metaboliser sales page, people using the product will be able to “supercharge” their diet and get some extra vitamins and minerals into their body. 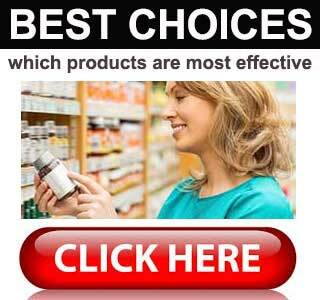 We have reviewed 100’s of diet products – which products are the most effective? What is Forza Fat Metaboliser and How Does it Work? Strange as it may seem, Forza don’t really explain how their Fat Metaboliser capsules work. Customers are just expected to take it on faith that they do. There is a sentence that explains choline has been included to aid normal lipid metabolism, and another sentence that states zinc contributes to the normal metabolism of carbohydrates and fatty acids, but that’s it. Not a lot to go with really. Let’s take a closer look at the formulation and try to figure out what it is likely to do. Green Tea (200mg): Most diet pills contain some green tea, and with good reason. 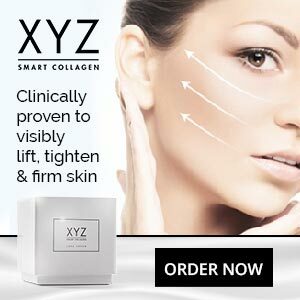 It’s ability to boost the metabolism and get the body burning calories faster has been scientifically proven, as has its value as a fat burner. Caffeine Anhydrous (160mg): A caffeine powder that gets to work fast and can be good for banishing tiredness and improving mental focus. Scientific evidence supports the use of caffeine as a thermogenic fat burner, so it is not surprising that it is one of the most commonly-used diet pill ingredients in the world. Guarana (120mg): A berry extract that provides caffeine, but delivers it more slowly than caffeine anhydrous. This provides a longer lasting energy boost. Guarana is added to many diet pill formulations and is also a main ingredient in energy drinks. Taurine (100mg): A stimulant. Like guarana, taurine is an energy drink ingredient. It’s value as a diet pill ingredient is disputable, but the energy-providing abilities of taurine may be good for preventing diet-related fatigue. Choline (90mg): An ingredient that is often added to nootropic supplements because it appears to be capable of boosting concentration and improving the memory. Capsicum (50mg): A very good fat burning ingredient that is hindered here by a low inclusion rate. The fat burning abilities of capsicum can be supported by a number of scientific studies, including one conducted at the Laval University in Canada. Kola Nut (50mg): Another source of caffeine. Kola nut was one of the original ingredients used in Coca-Cola, but it is no longer included in the recipe. Niacin (16mg): Also known as Vitamin B3, niacin has value in several areas and can be found in many bodybuilding supplements, energy drinks, and diet pills. Like most B Vitamins, it’s necessary for a healthy metabolism and also helps the body extract energy from food. 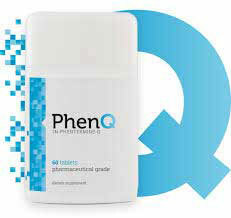 Pantothenic Acid (12mg): Provides Vitamin B5, which is also aids the metabolism and help provide extra energy. Zinc (10mg): An important mineral that assists the immune system and helps with the healing of wounds. Some study results suggest people who are zinc deficient may be more likely to gain weight, so zinc has theoretical value as a diet pill ingredient. Chromium (40µg): A diet pill regular, chromium is good for balancing insulin levels and helping prevent the blood sugar spikes that can trigger a desire for sweet food. The normal dose is two capsules per day. These should be taken with a small glass of water. First-time users are advised to begin with one capsule per day so that they can assess for tolerance issues. Due to the high caffeine content, Forza state their fat metabolising capsules will not be suitable for women who are pregnant or nursing a child. It goes without saying it will will also be a poor option for people who do not tolerate stimulants well. People who have existing medical conditions, and anyone who is using medication, should always get their GP’s approval before using any brand of weight loss supplement. You can buy Forza Fat Metaboliser directly from the manufacturer’s website. The normal price is £23 per 90-capsule bottle but, at the time of this review, Forza had reduced the cost to a more modest £16.99. Forza Fat Metaboliser does not have a money back guarantee. Forza Fat Metaboliser could be seen as being a stimulant-driven diet pill, and anyone who uses it is likely to see a notable increase in their energy levels. As far as weight loss goes, green tea is probably the best ingredient, with capsicum coming a close second. Anyone who uses Forza Fat Metaboliser alongside diet and exercise should find they see better results, but there is no money back guarantee so a refund will not be available for those who do not.